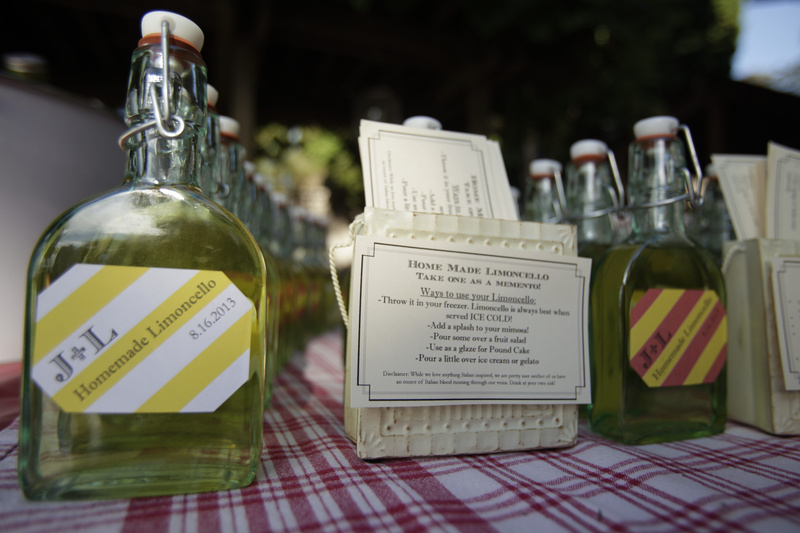 Here’s a #throwbackthursday for you: Homemade Limoncello! 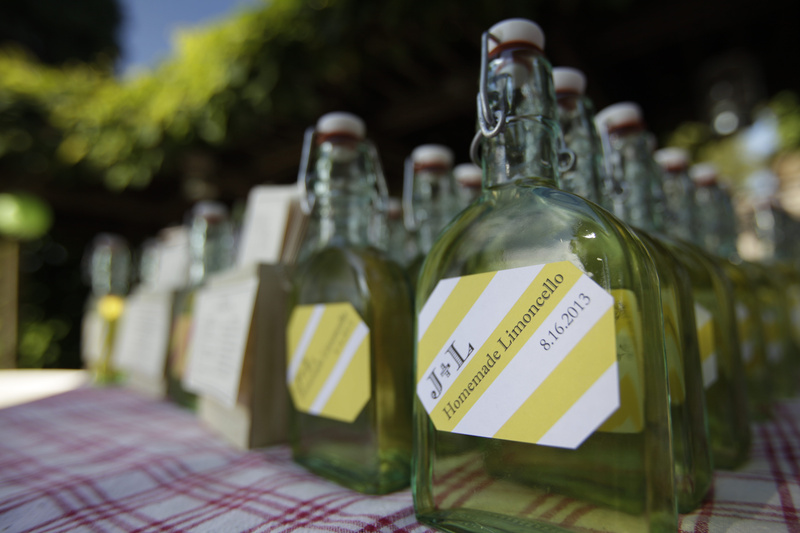 We made Limoncello as a favor for our guests at our Italian-Inspired Rehearsal Dinner in August. All photos above are from the wonderful and talented Jesse Amorratanasuchad, who did our Wedding Videography and Rehearsal Dinner Photography. You can find his website over here. 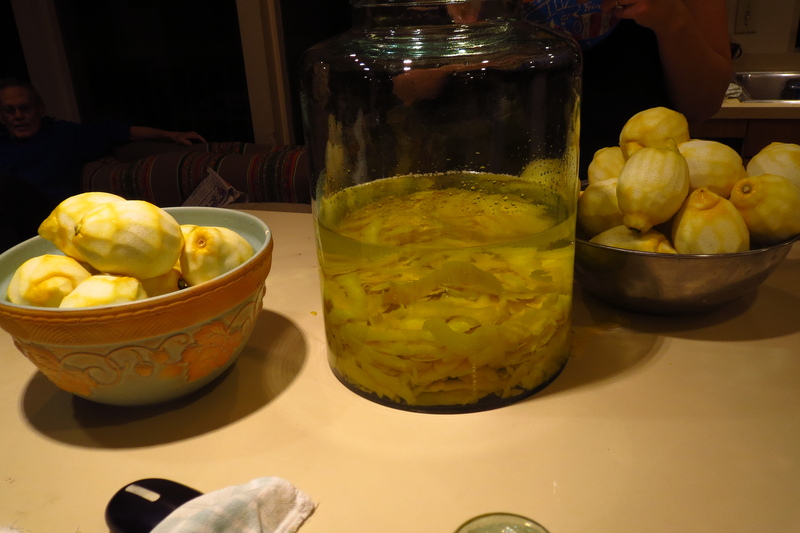 Below are a few shots I took from the Limoncello making process. Making Limoncello is not for the impatient! I never really saw myself making any sort of homemade booze. Ever. Drinking it, YES! Making it, waiting for it to be ready, taking care of it…No. 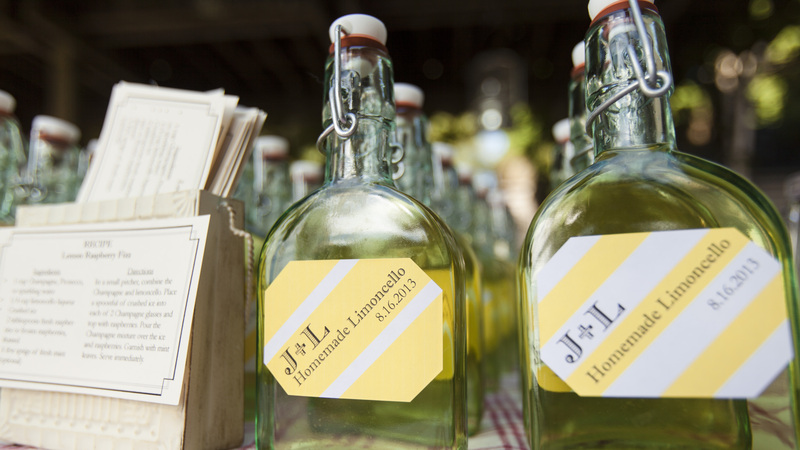 At this point, I have no memory of whose idea it was to make homemade Limoncello for our rehearsal dinner favors. I mean, are you even supposed to have favors at your rehearsal dinner?!? I guess it was different, perhaps we got a little too into the whole “We both studied abroad in Italy, our rehearsal dinner MUST BE AUTHENTIC ITALIAN” theme…But hey, homemade Limoncello is an experience. The excessive amount of lemons, small bottles, and love that went into the production of these boozy little gifts was something to be proud of. Notes: We bought our bottles from Wholesale Glass Bottles and Jordan designed the little print-at-home stickers that went on the bottles. 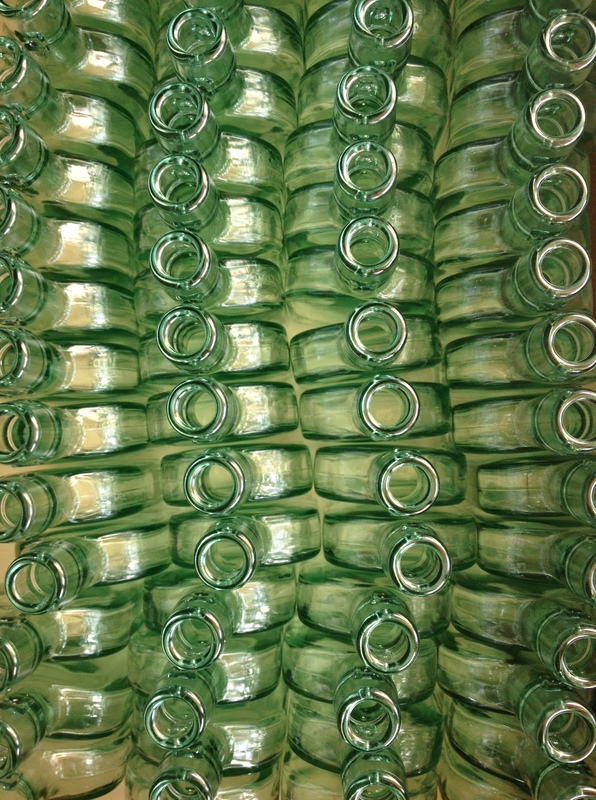 We still have a few bottles left…and the Limoncello is still good to go even though we made it many months ago. 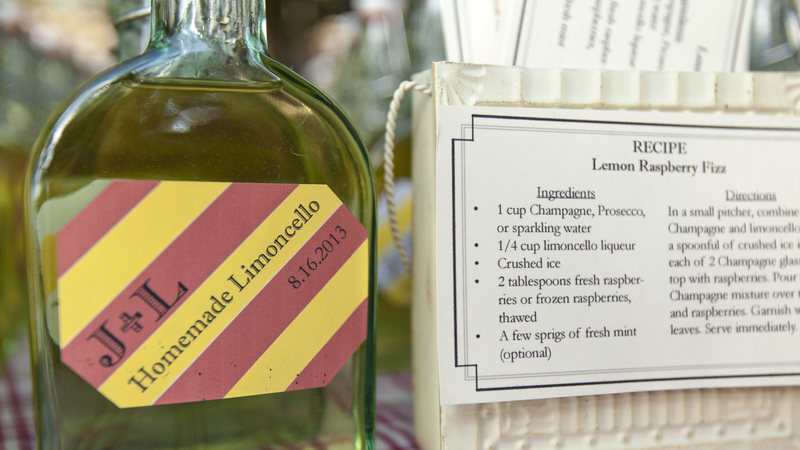 If you are looking for a fun and boozy project, Limoncello is a great gift for people around the holidays! 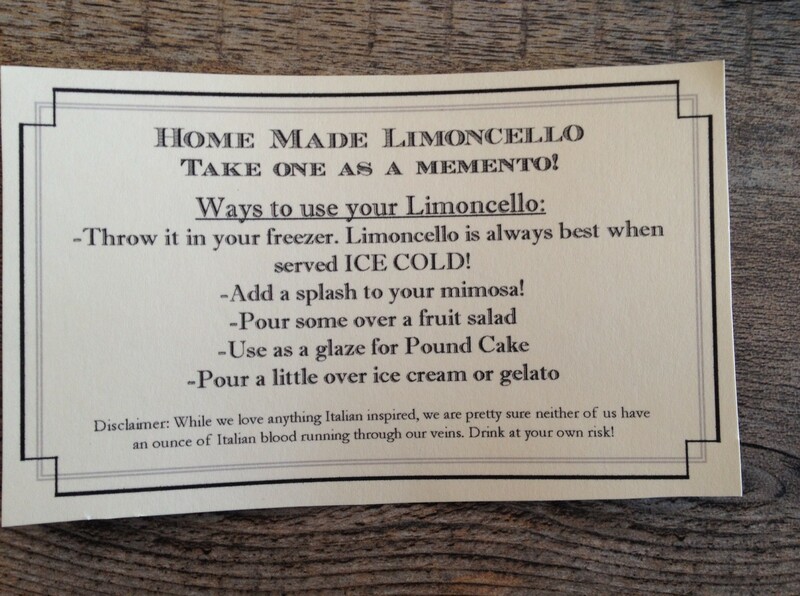 I think we tripled the recipe below, but we had about 75 people at our rehearsal dinner! (lots of out of town family…) At some point, the math got lost on me and I made Jordan figure out all conversions…So either stick with the recipe below, or I will hope you are good at math! Shave off the yellow part of the lemon rinds using a potato peeler. Put the lemon rinds in a sterilized large glass bottle and add the alcohol. Cover the bottle with plastic wrap to prevent the alcohol from evaporating, and let stand for 12 days at room temperature. We put ours in a dark closet. Boil the water. Remove from heat and add the sugar. Stir until all the sugar has dissolved, and let cool. 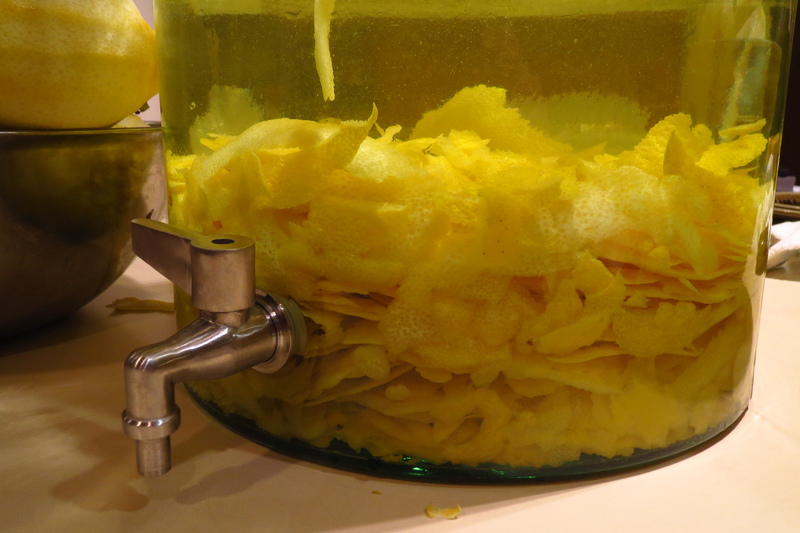 Drain the 12-day old alcohol and discard the lemon rinds. Add the alcohol to the sugared water. Set aside for an additional 10 days in a sterilized sealed glass bottle.